KHD Valves Automation Pvt Ltd is a High Quality Strainer Valves Manufacturer in Mumbai, Maharashtra, India. 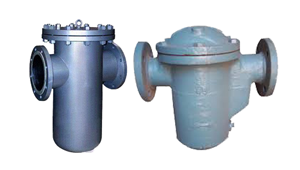 We are a leading manufacturer of Strainer Valves in Mumbai and nearby areas. Our Strainer Valves are manufactured according to International ASTM ANSI Standards, ASTM API Standards, ASTM DIN Standards in India. Mail us for Easy and Quick Quotes at Factory Prices. 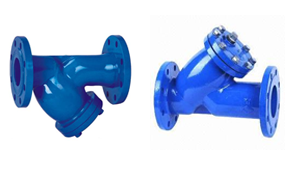 Strainer Valves Manufacturers:- What are Strainer Valves? Strainers are devices for mechanically removing unwanted solids from liquid, gas or steam lines by means of a perforated or wire mesh straining element.in easy words Strainers are pipe fittings which remove particulates from liquids or gas via a filtering element intersecting the main channel. Some strainers come with automated systems called “blow-off valves,” which make cleaning process much simpler. These Valves pump out the collected junk that has been collected with much less manual labor. 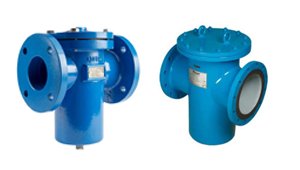 Strainer helps in protecting valuable downstream equipment - like pumps, steam traps, regulators and measuring devices - which might be damaged by contaminants and impurities. You will find our Strainers in many steam applications, for which KHD Valves Automation Pvt Ltd are considered the best. The parts shape and construction make it ideal for handling high pressures put out by steam. Water handling Applications, where Y-Strainers are used to protect equipment that could be damaged or clogged by unwanted sand, gravel or other debris, are very common. For high pressure applications requiring an easy maintenance. Spiral wound stainless steel screen. 1/2" - 2" FNPT & SW, pressures to 3000 PSI. Best High Grade Strainer Valves and other Valves with optimum quality availabe at KHD Valves Automation Pvt Ltd. The best in business and world Leading dealers of Valves. KHD Valves Automation Pvt Ltd is the best in business and world Leading dealers of Strainer Valves. KHD Valves Automation Pvt Ltd Strainer Valves offer all the proven design attributes of standard 2-way Valves and are available in a wide range.